Published: March 14, 2015 at 01:18 p.m. 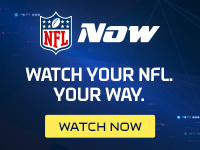 Updated: March 14, 2015 at 01:51 p.m.
For most of this week it appeared that no player on the New Orleans Saints' constantly churning roster was safe from the trading block, including star cornerback Keenan Lewis. Unhappy with the direction of the team, Lewis said Tuesday that he wanted to be released or traded unless the Saints agreed to guarantee the final three years of his contract. Although rumors surfaced that the Saints were actively shopping Lewis, NFL Media Insider Ian Rapoport reported Friday afternoon that the organization is restructuring the 28-year-old's contract to keep him in New Orleans. Lewis, a native of the city's West Bank, took to Instagram on Friday night to assure Saints faithful that he isn't going anywhere. "This is my home," Lewis wrote, via The Times-Picayune. "I (have) been (here) 28 years. From playing a high school championship in here, to helping Katrina victims with a little bit of my college funds, to trying my best to help this beautiful home and people get a Super Bowl. I love this place and every person who (lives) close or in it. Trust me, leaving was never (an) option. I love it (too) much. Who Dat." Now that two-time Super Bowl winner Brandon Browner has landed in the Big Easy, at least one NFL Media analyst believes the Saints' cornerback tandem rivals those of the Seahawks, Broncos and Jets.